In case anyone was wondering how much a dead whooping crane is worth, we now have a number to work with thanks to Trevor Frederick’s sentencing on Tuesday for killing two whooping cranes in Jefferson County earlier this year. Back in January two whooping cranes were shot and killed. After the bodies of the endangered birds were discovered in Jefferson County, further investigation revealed that Trey Frederick, then 18, of Beaumont, had been seen in the area toting a hunting rifle. Frederick claimed he was hunting geese, which would make sense except for the fact that geese are the size of very large ducks while whooping cranes grow up to be about five feet tall and with a wingspan of roughly seven feet. When federal investigators contacted Frederick he admitted to killing the birds and was subsequently arrested and charged with violating the Migratory Bird Treaty Act, as we reported. Whooping cranes are migratory birds and are protected under the federal law, making it illegal to capture, kill, or attempt to capture or kill them in the United States. On Tuesday, Frederick was convicted of the killings, which makes sense, since he admitted it right from the beginning. $25,850 in restitution to be shared among the Texas Parks and Wildlife Foundation and the International Crane Foundation. 200 hours of community service (the most ever ordered by this court, according to the International Crane Foundation), with the time to be spent with Texas Parks and Wildlife or the U.S. Fish and Wildlife Service. An order that Frederick turn over all firearms. A five-year suspension of his hunting license in all 50 states. In other words, while Hawthorn didn’t send Frederick, now 19, to prison, perhaps Frederick is now aware it’s a bad idea to kill any endangered species — and he’ll have a lot of time to reflect on that while he isn’t hunting the next five years. However, the math on this is still a bit troubling. After all, the endangered species list was practically invented for whooping cranes. It’s believed there were once more than 15,000 whoopers in North America, but their numbers dwindled to fewer than 1,400 in 1860. By 1941 there were only about 15 whooping cranes left in the wild, the vestiges of a naturally migrating flock that has been moving between Wood Buffalo National Park in Canada and the Aransas National Wildlife Refuge in South Texas for centuries. From there, conservationists started working to build up the flock, pushed lawmakers to pass legislation to protect the birds and started establishing other flocks across the country, with varying levels of success. There are now about 600 whoopers left in the world, with 450 of them in the wild. Efforts have been made to increase their numbers, but it’s been a difficult path forward. Back in 2008 and 2009, about 23 whoopers died in the middle of the Texas drought after the rate of freshwater flowing into the bay system dropped, screwing up the supply of the blue crabs and wolfberries the birds feed on. On top of that, these birds tend to get shot. Over the past five years, despite their protected status, more than 20 whooping cranes have been shot and killed in the United States, according to the International Crane Foundation. The pair of whoopers Frederick shot and killed came from a new flock, established in Louisiana in 2011 with ten young birds. The flock has about 30 whoopers now. And here’s the thing: It’s not exactly cheap to raise these birds and release them into the wild. The International Crane Foundation recommended fining Frederick about $113,000 per bird, since that would cover the cost of raising the whooping cranes in human care and then reintroducing them into the wild to join the Louisiana flock. “The shooter did not just illegally kill two birds; he stole an intensive monetary investment by federal and state governments and nonprofit organizations in the United States and Canada, as well as, saddened and outraged the public through this thoughtless and brazen act,” wrote Liz Smith, Texas program director of the International Crane Foundation, in a letter to Judge Hawthorn. But, obviously, that’s not what happened. Instead, the dead birds have been valued at $12,925 each, judging by Frederick’s sentence. The International Crane Foundation held up this sentence as the judge’s throwing the book at a whooping crane killer, but we have to disagree. Considering the number of cranes in the world, the cost of raising and releasing even one whooper into the wild and the price Frederick is paying, it seems like he’s getting quite a bargain. 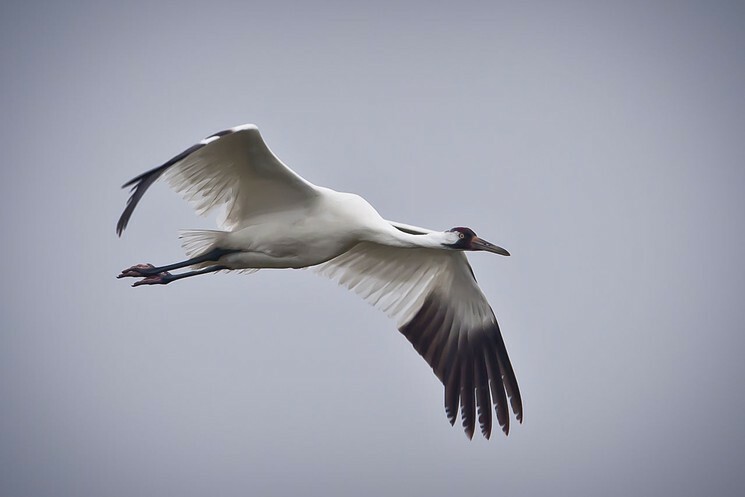 Four whooping cranes from the Louisiana experimental flock have decided to make another sojourn to Texas this year according to Sara Zimorski, Wildlife Biologist, Louisiana Wildlife and Fisheries Department. Four Louisiana whooping cranes off to Texas for 2nd year. May 2, 2014 – The Louisiana Department of Wildlife and Fisheries (LDWF) announced today that the first eggs produced by Louisiana’s experimental whooping crane population will not result in hatchlings this year, a result most experts had anticipated. Friends of the Wild Whoopers (FOTWW) had high hopes for the two eggs produced by Louisiana’s whoopers. FOTWW continues to believe that Louisiana may have the most favorable opportunity to reestablish a new population of whooping cranes. High Hopes for Louisiana Whooping Crane Flock. Infertile whooping crane eggs recovered this week from nest site in Louisiana. Louisiana Wildlife Department photo. The young pair of adult cranes, nesting in a crawfish pond on the northern end of the Cajun prairie, has been under observation by project biologists since eggs were spotted in their nest in March. The 30-day incubation period has passed for what would have been the first whooping crane chicks hatched on the Louisiana landscape in over 75 years. Whooping cranes are not expected to become successful nesters until they reach four to six years of age, and only a few of Louisiana’s whooping cranes will soon be four years old. LDWF has collected the eggs and has determined they were not fertile. LDWF biologists collected vital data on the cranes’ nest building schedule, nest attentiveness and their reactions to nearby farming activity. Throughout the process, biologists kept the farmer and landowner informed about the cranes’ activity. 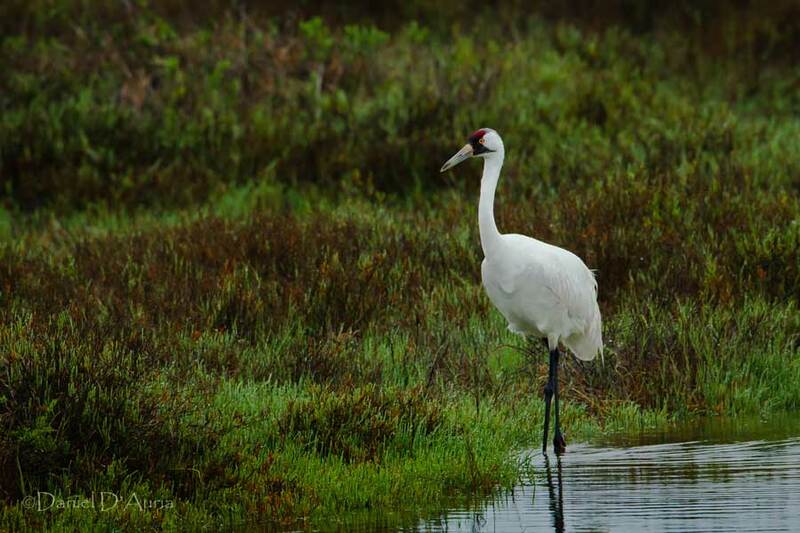 The state’s whooping crane reintroduction project began with the release of an initial cohort of juvenile cranes in 2011 at White Lake Wetlands Conservation Area in Vermilion Parish. There are three bonded pairs among the 30 surviving birds that are reaching maturity. The largest corporate supporter for the project is Chevron. Team partners who assisted in bringing juvenile cranes to Louisiana annually since 2011 include the U.S. Geological Survey’s Patuxent Wildlife Research Center, the International Crane Foundation, the Louisiana Cooperative Fish and Wildlife Research Unit, and the U.S. Fish and Wildlife Service. Visit http://www.wlf.louisiana.gov/wildlife/whooping-cranes to learn more about whooping cranes in Louisiana. For information on LDWF’s whooping crane reintroduction project, contact Bo Boehringer at 225-765-5115 orbboehringer@wlf.la.gov.